Bengaluru-based healthcare platform Practo announced Thursday the acquisition of Qikwell, an appointment scheduling platform for hospitals. The terms of the acquisition were not disclosed. 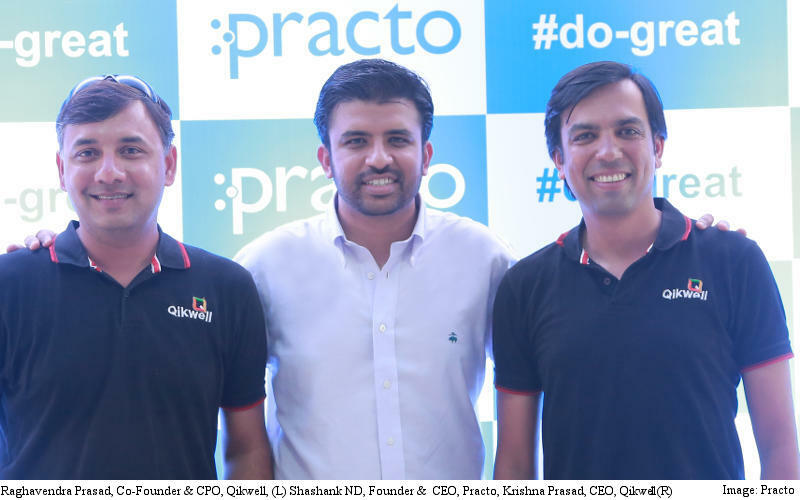 Qikwell will continue to be led by the co-founders, Practo said in an emailed statement. Founded in 2011 by Krishna Prasad Chitrapura and Raghavendra Prasad TS, Qikwell has over 100 employees and a presence in 250 hospitals in 19 cities. The platform lists over 6000 doctors from hospitals like Manipal, Fortis, Cloudnine, and Narayana Hrudalaya, the company said. Practo will use Qikwell’s key proprietary technologies and algorithms to improve the booking experience across the entire Practo platform, reducing waiting times and enabling contactless payments. Practo claims that the acquisition, its fourth in the last five months, makes it the world’s largest appointment booking platform, with nearly 40 million appointments managed every year. Shashank ND, Founder and CEO, Practo said that the firm was looking to aggressively expand and build the world’s leading healthcare technology platform. Earlier in September, Practo acquired Insta Health for $12 million (roughly Rs. 80 crores), outsourcing firm Genii in June, and digital fitness solutions firm Fitho in April. In August, the firm had had raised $90 million (approximately Rs. 594 crores) in a series C funding round led by Tencent.